Body odor is an embarrassing problem, and it certainly is a problem that few people willingly talk about publicly. However, despite being so rarely discussed, it is also a very common problem. Learning more about body odor and its causes can help you understand how to prevent it from occurring. Knowledge about the condition can help you whether you are suffering from body odor yourself or you are affected by the body odor of a partner, a family member, or another person close to you. The apocrine glands release sweat and chemicals that can cause body odor. Although they are located all over the body, the underarms have a relatively higher concentration of apocrine glands than other parts of the body. When your skin releases sweat, that sweat interacts with bacteria on the skin. The bacteria break down the acidic components of your sweat, and those broken-down components cause the odor people associate with body odor. Without bacteria, there would be no smell. Body odor causes can include any activity that makes you sweat. Not sufficiently removing bacteria from the skin when showering can also increase the likelihood of developing body odor. To prevent and eliminate body odor, Alternative DrM provides several natural remedies in his protocol.Chlorodex or Chloroplex acts as a natural deodorant. Mixed into water or taken in capsule form, these soluble sources of chlorophyllin help reduce body odor and bad breath. 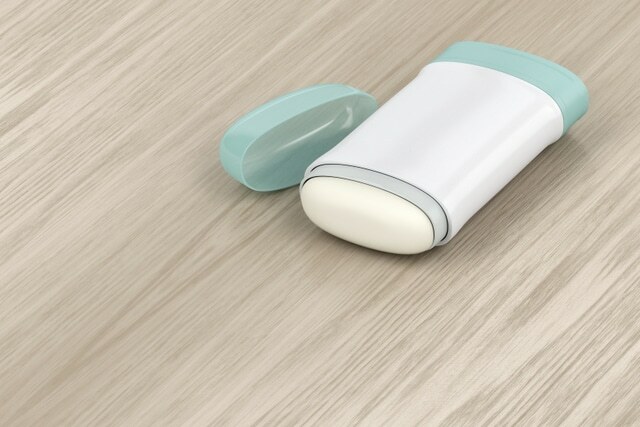 A deodorant with sage extract eliminates body odor by killing the bacteria that produce it. Mixed with rosemary, thyme, and lavender in a non-aerosol spray, this blend deodorizes and leaves a sweet-smelling fragrance behind. It also doesn’t contain any antiperspirants that might be harmful to your health. Please become an emissary of true health and well-being by sharing the Alternative DrMCare Natural Medical Self-Care Protocols with your loved ones, family or anyone that you feel will benefit. The Alternative DrMCare Natural Medical Self-Care Protocols are designed to help you and your family to care for yourself, naturally, effectively and holistically. 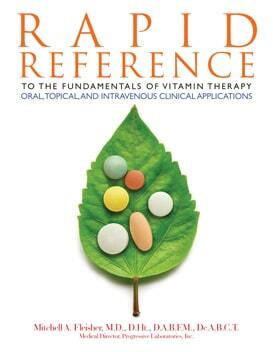 Rapid Reference To The Fundamentals of Vitamin Therapy:Oral, Topical, and Intravenous Clinical Applications by Dr. Mitchell A. Fleisher, M.D., D.Ht., D.A.B.F.M., Dc.A.B.C.T. "Our family has found Dr. Mitch Fleisher's natural medical self-care protocols invaluable. Since she was a baby, my youngest daughter quickly develops ear infections with nasal congestion. Allergies, Upper Respiratory Viruses & Strep Infections "Our family has found Dr. Mitch Fleisher's natural medical self-care protocols invaluable. Since she was a baby, my youngest daughter quickly develops ear infections with nasal congestion. Read More.. Chronic Hepatitis C "My odyssey of treating Chronic Hepatitis C began in 1993, when, during a routine physical exam, a blood test came up with a positive test result. I scheduled an appointment with my doctor Read More.. Asthmatic Bronchitis, Chronic Cough, High Blood Pressure & Chronic Tendon Inflammation "As a long time patient of Dr. Mitch Fleisher, I want to share with you some of my experiences with this brilliant and caring physician. I have had several opportunities to work with Read More..
"I began my homeopathic relationship with Dr. Mitch Fleisher in 1996, while looking for relief for my son's reoccurring asthma. Asthma, Eczema, Chronic Ear Infections, Diarrhea, Ruptured Brain Aneurysm & Headaches "I began my homeopathic relationship with Dr. Mitch Fleisher in 1996, while looking for relief for my son's reoccurring asthma. Read More..
Dr.Fleisher's Competence and Knowledge are Quite Vast "I have been working both personally and professionally with Dr. Mitch Fleisher for a number of years. With his guidance, I have achieved a quality of health Read More..
"Having known Dr. Mitch Fleisher for many years now, I have the highest regard for his knowledge of nutritional and herbal medicine and have frequently drawn upon his expertise. Paul K. Branch, M.D., D.A.B.F.M. Best of Their Kind "Having known Dr. Mitch Fleisher for many years now, I have the highest regard for his knowledge of nutritional and herbal medicine and have frequently drawn upon his expertise. Read More.. Expertise to Guide Selection of Nutritional Supplements "Dr. Mitch Fleisher is the doctor that I turn to for professional nutritional advice for my patients and myself. I can count on him to be fully knowledgeable about Read More..
"As a family and homeopathic physician with over 30 years' experience, I can attest to the therapeutic efficacy of Dr. Mitch Fleisher's nutritional/botanical support protocols. Therapeutic Efficacy "As a family and homeopathic physician with over 30 years' experience, I can attest to the therapeutic efficacy of Dr. Mitch Fleisher's nutritional/botanical support protocols. Read More..
Fibromyalgia & Chronic Fatigue Syndrome....Alternative Health Care Wisdom That Really Works! "As a long time patient of Dr. Mitch Fleisher, I've come to truly appreciate the vastness and excellence of his knowledge of alternative medicine. Fibromyalgia & Chronic Fatigue Syndrome....Alternative Health Care Wisdom That Really Works! "As a long time patient of Dr. Mitch Fleisher, I've come to truly appreciate the vastness and excellence of his knowledge of alternative medicine. Read More.. I was diagnosed with a rare cervical cancer on February 12, 2008. Over 90% of cervical carcinomas are of squamous cell origin. Terminal, Stage 4, Metastatic Small Cell Carcinoma of the Cervix I was diagnosed with a rare cervical cancer on February 12, 2008. Over 90% of cervical carcinomas are of squamous cell origin. Read More..
Trust in Dr. Fleisher's Expertise and Integrity "For over 10 years, Dr. Mitch Fleisher has been my 'fount of knowledge' for all things natural and nutritional in medicine and he continues to be the mainstay Read More.. Upon reaching forty years of age, it was as if a switch was flipped and the train I was riding careened onto the fast track to ill health. Chronic Fatigue, Brain Fog and Hypothyroidism Upon reaching forty years of age, it was as if a switch was flipped and the train I was riding careened onto the fast track to ill health. Read More.. Vast Experience in Natural Medicine "Dr. Fleisher's vast experience in natural medicine has greatly helped my patients and my family. I have consulted with him for years for different pathologies Read More..
High Blood Pressure, Hyperlipidemia (High Cholesterol), Fibromyalgia, Chronic Fatigue, Depression, Hypothyroidism, Diabetes, Migraines, Menopause, Acid Reflux, Bone Fractures, Plantar Warts, Strep Throat & Infantile Colic Read More..
"I sat through the meeting with school officials, teachers and guidance counselors, trying to hold back my tears. They handed me a large workbook: Your ADD/ADHD Child. A.D.D./A.D.H.D. "I sat through the meeting with school officials, teachers and guidance counselors, trying to hold back my tears. They handed me a large workbook: Your ADD/ADHD Child. Read More..
"In December of 2005, I was introduced to Dr. Mitch Fleisher for some health issues, one being, Inflammatory Bowel Disease. Inflammatory Bowel Disease "In December of 2005, I was introduced to Dr. Mitch Fleisher for some health issues, one being, Inflammatory Bowel Disease. Read More..
"When I received the message that the skin biopsy report showed the tumor to be malignant, I didn't sink into a pit of despair. Metastatic Squamous Cell Carcinoma & Cardiac Arrhythmias "When I received the message that the skin biopsy report showed the tumor to be malignant, I didn't sink into a pit of despair. Read More..
"My story started back in April 2001, when I suddenly lost all function in my right, dominant arm. I was incredibly scared, in intense pain and clueless as to what had happened to me. Chronic Pain with Reflex Sympathetic Dystrophy (RSD) "My story started back in April 2001, when I suddenly lost all function in my right, dominant arm. I was incredibly scared, in intense pain and clueless as to what had happened to me. Read More..
"I was plagued with respiratory allergies throughout my childhood and early adulthood. I had been having seasonal allergies that occurred primarily in the spring and fall. Seasonal Allergies, Chronic Constipation, Chronic Eye Problems & Alzheimer's Disease "I was plagued with respiratory allergies throughout my childhood and early adulthood. I had been having seasonal allergies that occurred primarily in the spring and fall. Read More..
"Dr. Mitch Fleisher is a very knowledgeable and gifted healer. DrM has generously chosen to share his healing protocols with us. Please indulge, as I have, and you will find incredible results." Incredible Results "Dr. Mitch Fleisher is a very knowledgeable and gifted healer. DrM has generously chosen to share his healing protocols with us. Please indulge, as I have, and you will find incredible results." Read More..
Gregory S. Gelburd, D.O., F.A.A.F.P. Many Patients...Benefited Greatly "Dr. Mitch Fleisher and I have been professional associates and friends for over twenty years. He was one of my clinical instructors in my postgraduate classes Read More.. Reflex Sympathetic Dystrophy, Cold, Flu, Poison Ivy Rash, Exhaustion, Stress & Pneumonia "Dr. Mitch Fleisher has been treating me holistically for over a dozen years. When I first met him, I had suffered for many months with reflex sympathetic dystrophy in my left foot Read More..
"Dr. Mitch Fleisher has had a tremendous positive impact on my life. His years of working with me , sharing his superior knowledge of genuine health, not only helped me in the past, but continues to influence so much of my present day life."